Jose Chameleone has spoken out on the ongoing debate as to whether he should be on the list of the top ten wealthiest musicians on the African continent or not. Bebe Cool is on record for having rubbished the report claiming that as far as he is concerned, wealth means just how much you give to the needy. Bobi Wine now says he has no problem if a comrade is ranked the best in Africa but then adds that some people have no reason to talk about wealth or money matters now that they have no address they can call their own since they are still renting. After the two were done with their submissions on the top richest African list, the heavy weight came out of his shell and this is what he had to say: "Am not going to be intimidated by anybody to declare how much am worth. My struggle is to give my children the best value out of my good music. To all my Comrades, I am Nothing, to my fans I am worthy." With those very few words, Chameleone simply put it that all he strives for is for his children to get the very best life can offer out of his music career. The Moto-moto singer concluded by wishing his fans a Happy Palm Sunday and a blessed week ahead. 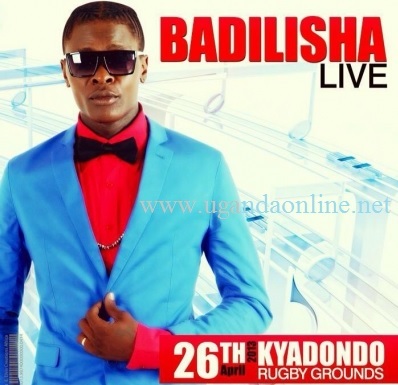 He also reminded his fans of his forthcoming Badilisha album launch slated for next month at Kyadondo Rugby Grounds.